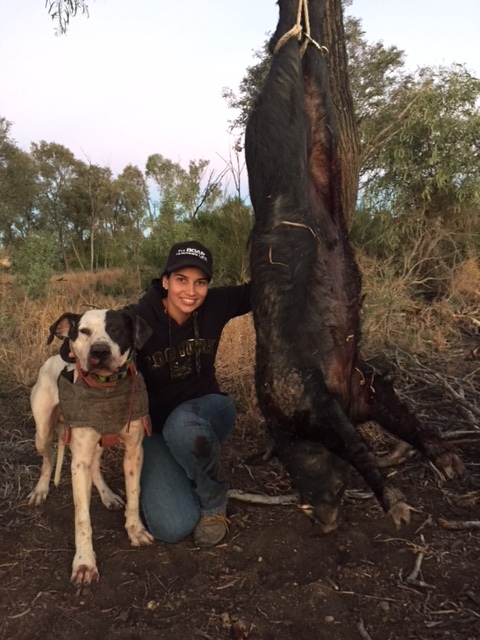 For me, in particular, feral pig hunting became a prominent part of my life right from the start. 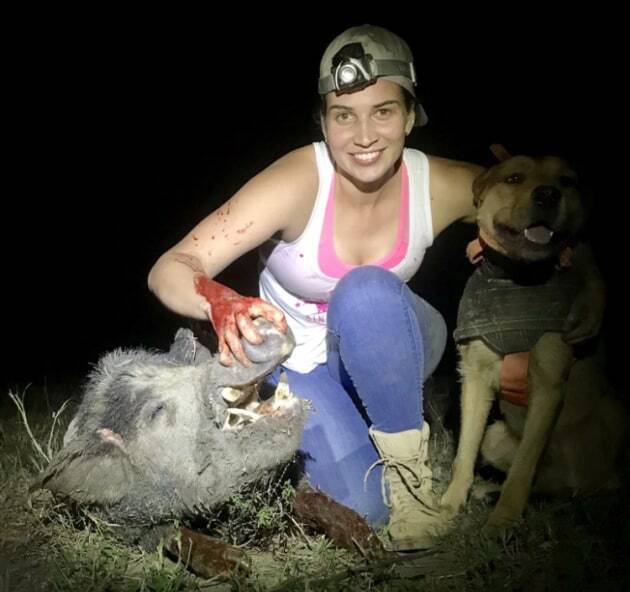 My name is Caitlyn Lacey, and I run the Instagram and Facebook page called Boar Hunters Life. 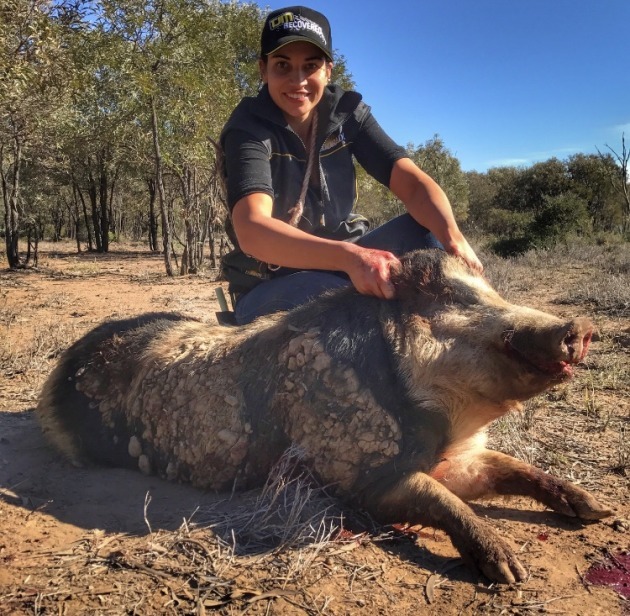 I developed this page to allow my audience to gain an insight into what I would call my lifestyle as a passionate female hunter. 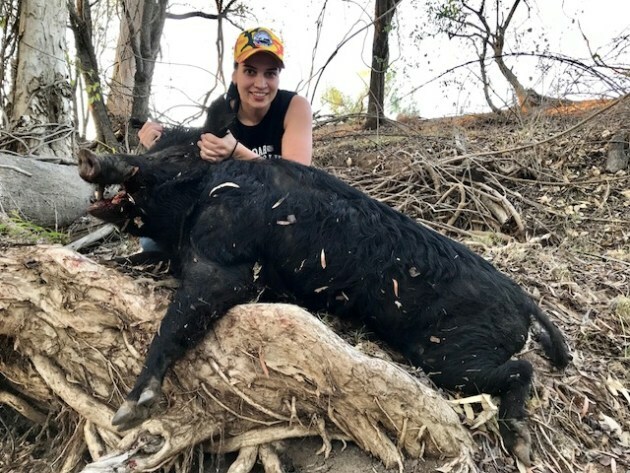 Although pig hunting tends to be a male-dominated sport, my ultimate goal is to show how much fun this lifestyle can be and to give other female hunters the confidence to be proud of what they do. brothers. From the early days, my lifestyle consisted of, hunting feral pigs, shooting rifles, four wheel driving and a crazy love for quad racing and of course a love for shopping and all the normal things most girls like to do. Some of my fondest memories as a child was Dad coming home on school nights in the 75 series land cruiser Ute, loaded up with a good amount of pigs ready for the chiller box. I used to fill out the weight tags, and at the end, the owner of the box would, without fail have a can of cold Coca-Cola waiting for me. management resonate highly with me. The responsibility that myself as a hunter has; is taken very seriously, to ensure that what I do and what I showcase on my page, is done with the humanity of the animal in mind. 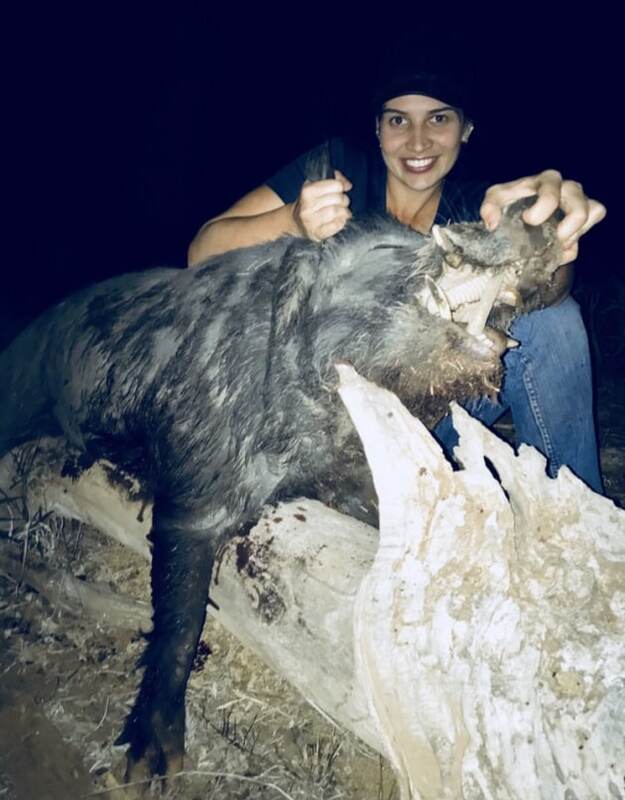 I want to ensure that the Boar Hunters Life page is something that fellow hunters can come to for responsible hunting ideas and practices that my family and I have learnt over the years while living “The Boar Hunters Life”. My page is a compilation of heaps of hunting action; however, this is done from the pest management angle with a huge appreciation for the opportunity that I have as a hunter given to me by private property owners, who put trust in myself and my dogs to carry out what we do confidently. 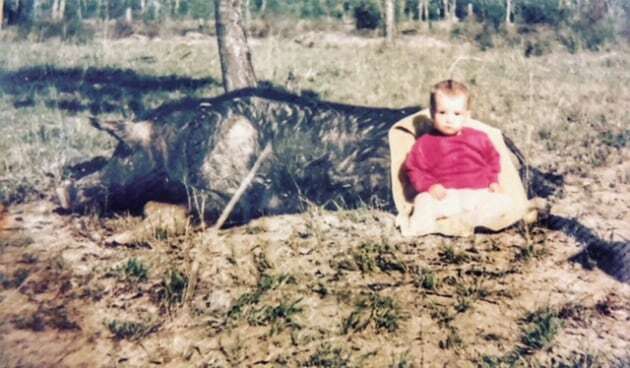 From fun as a child to a lifestyle now that I wouldn’t want to change, the passion for feral pig hunting still runs strong in me.